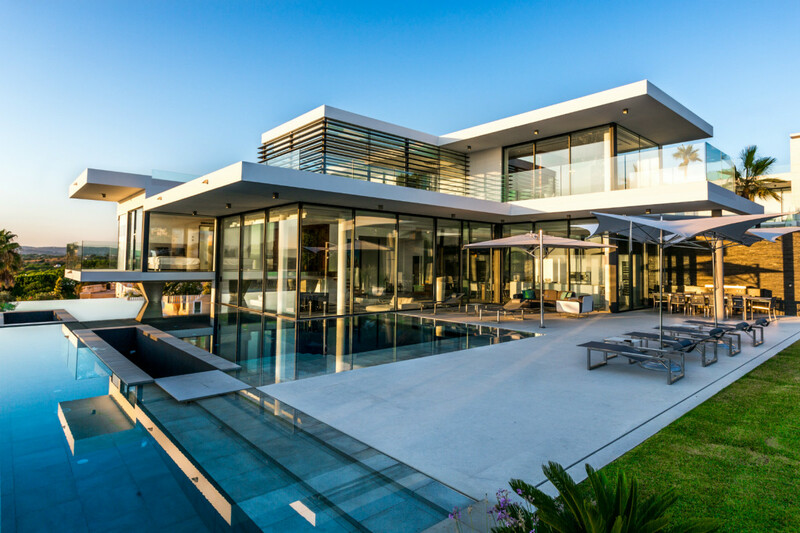 If peaceful and tranquil surroundings appeal to you, you won’t be able to resist this spacious, dreamy villa, where all is harmony and balance. The extra-long and elegant pool is a venerable object of contemplation, surrounded by arches at one end and shady greenery at the other. Should you wish to seek enlightenment, visit the beautiful outdoor ‘Zen Area’, which invites you to elevate your spirit with light, calming thoughts. If you prefer to contemplate live action and movies on the big screen, the big-screen cinema will satisfy the demands of the most demanding cinema-goer! 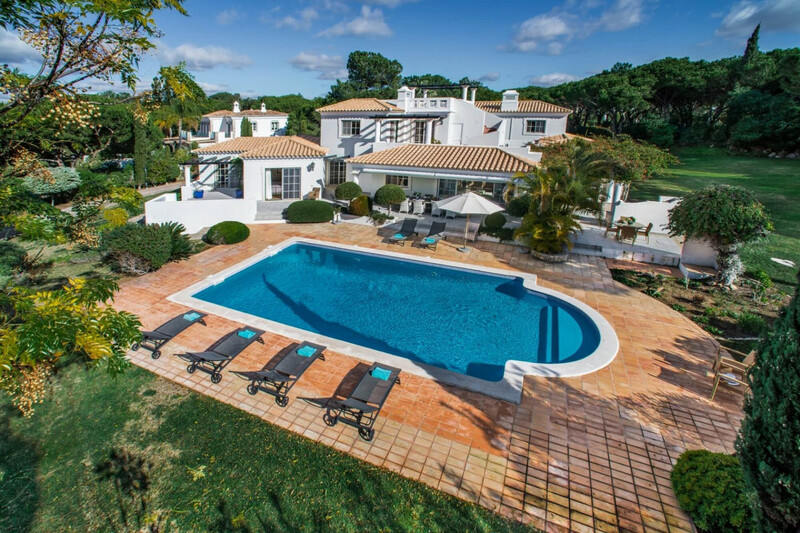 In Quinta do Lago, minutes away from Quinta shopping, restaurants, and bars as well as the beach. Faro International Airport is twenty minutes away from the villa. Modern architecture/marble and wood floors. There is a garden with a long swimming pool (14mx4m) with sun loungers and a love seat, a dining area with a BBQ grill beneath a large pergola providing a shaded area for Al Fresco dining. Plus, there is also a zen area off the main living area as well as two hammocks. On the ground level, there is a large living room with a fireplace and a plasma TV. There is also a dining room off of the kitchen that seats eight people. Downstairs, there is a cinema room with a large projector screen, reclining chairs and a mini bar with a sink and wine cabinet. Plus, there is a games room with a large sofa and pool table. On the ground floor there are two double bedrooms with bath and shower en suites. On the first floor, there is master bedroom with a double bed, sofa, three double wardrobes, a plasma TV, and an ensuite bathroom with two sinks and a bath. The second bathroom has a large walk in shower and sink with sea views. Also, on the first floor, there is a double bedroom with an en suite bathroom, a bath with separate walk in shower/ sink, two double wardrobes, a sofa, a dressing table and plasma TV. Plus, there is also a bedroom in the basement with two single beds, two double wardrobes, a large sofa, and a TV with an en suite bathroom. There is a contemporary Boffi kitchen with a lounge and a breakfast area. Washing Machine, Tumble Dryer, Fireplace, Wi-Fi*, Cable TV, DVD Player, Fridge/Freezer, Hob/Stove, Microwave, Dishwasher, BBQ, Balcony, Terrace, Iron, Laundry facilities. Maid service is three days per week and ten hours in total (except bank holidays). Towels are changed twice per week and linen is changed once a week.